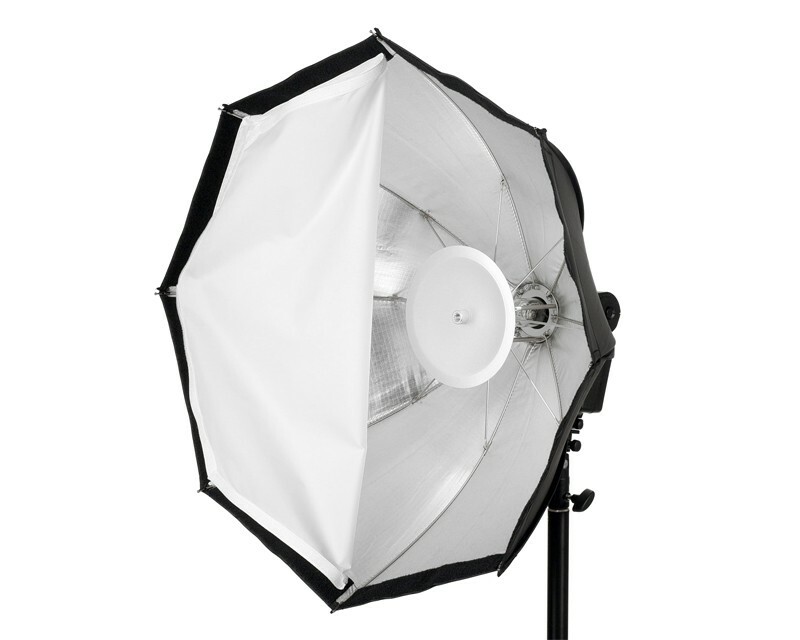 Includes a 23" Octa Soft Box Kit with front diffuser, reflector disc & Fabric Grid (honeycombe) 860732. With the new Quantum QF35 Octa Softbox Kit, versatility is the key. The QF35 is a 23” Octabox with a deep profile and silver interior. This gives you a traditional soft octabox light quality and a tighter output when your creativity calls for it. The Octabox opens up quick and easily for use. It will mount on all QFlash and QFlash Trio models. After use, it’s able to close down quickly and fits in the included carrying sleeve. The QF35 also includes a reflector dish and a fabric grid. The reflector dish can be used to minimize hotspots and give a soft light that wraps around your subject, reminiscent of a beauty dish look. Adding the grid will minimize spill and provide a more narrow output. With all of the options the new QF35 offers, there is no end to where your creativity can take you. QF35 Softbox with Reflector Disc, Diffuser and Grid. Also includes protective Carry Sleeve.